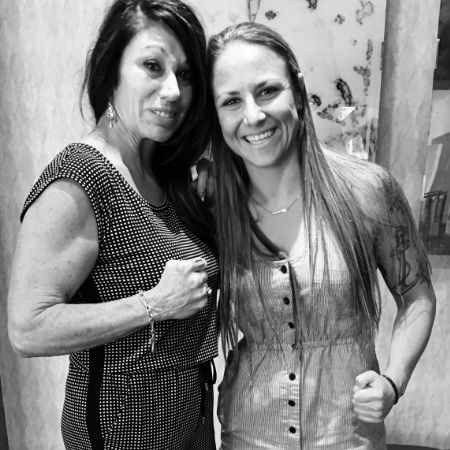 Master Cha moved to the Unites States in 2006 to train others in Muay Thai and Muay Thai for Mixed Martial Arts (MMA) competitions with some of the largest teams in the world. 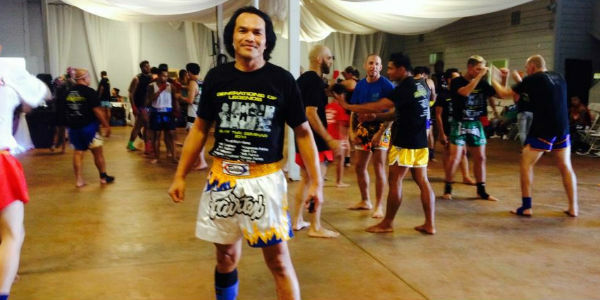 Master Cha has trained over 100 MMA fighters and Muay Thai champions around the world. 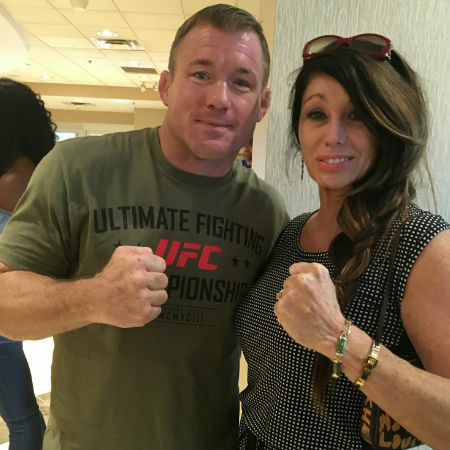 He has taught over 15,000 students over the course of his career, many of whom have opened their own Muay Thai gyms to promote and honor the culture of the sport. Our goal is to cultivate an environment where students can experience trust, care, and respect. Master Cha’s teachings have helped young adults build their confidence to face difficult challenges with more grace. 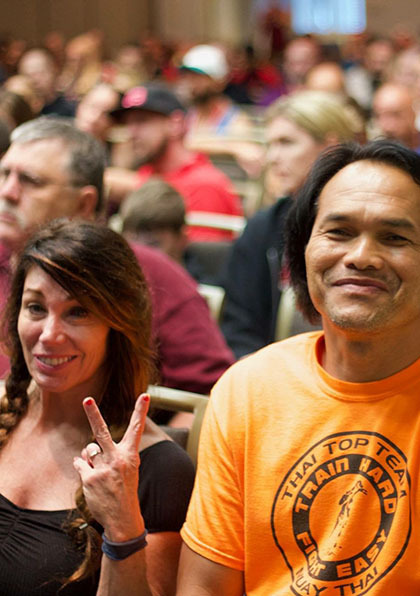 Love, respect, and belief resonates with many who have changed their lives through the philosophies of Muay Thai. 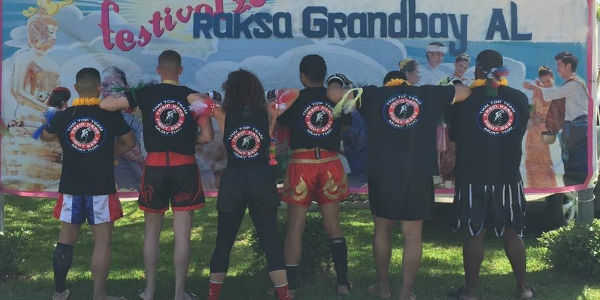 Many former and current students attest to Master Cha’s teachings, not just in Muay Thai but in life. 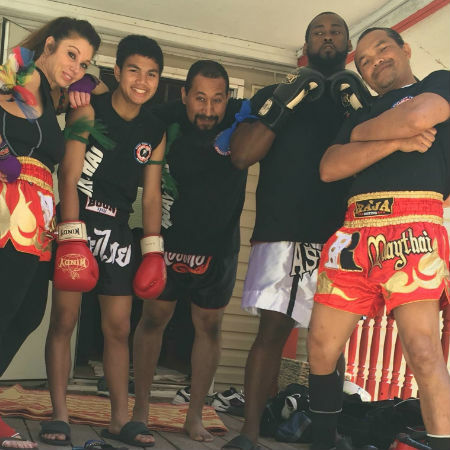 Using only authentic Muay Thai bags, gloves, shorts and other equipment, Master Cha conducts seminars across the United States and offers private and group straining sessions at his gym or at yours. 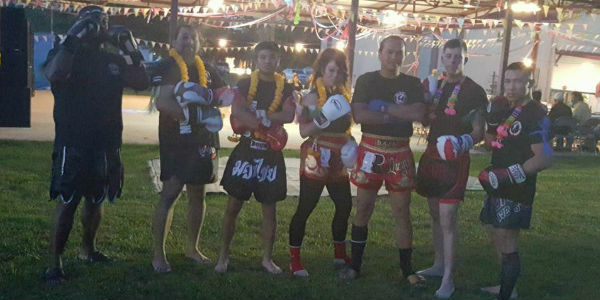 With the success of Muay Thai in MMA fighting, it has become the de facto martial art of choice for kickboxing and competitive fighting. When Muay Thai fighters compete against fighters of other styles, they almost invariably emphasize elbow (sok) and knee (kao) techniques to gain an advantage in fighting. 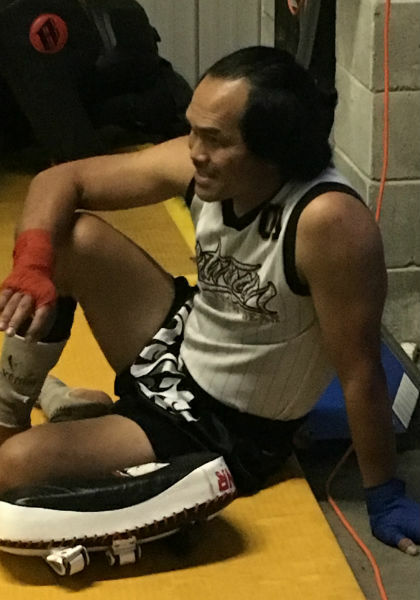 A Muay Thai Martial Arts match formally has no more than 5 rounds, each round lasting 3 minutes, with a two-minute rest period in between. No additional rounds are allowed. Boxers must regularly wear gloves, each weighing no less than 6 ounces. The gloves must not be squeezed, kneaded or crushed to change its original shape. Contestants must wear only trunks that appropriately fit their bodies. Contestants must wear standard supporters or sturdy athletic cups to protect their groin. Mouth guards are also used. No shirts, shoes, or ankle caps are permitted. 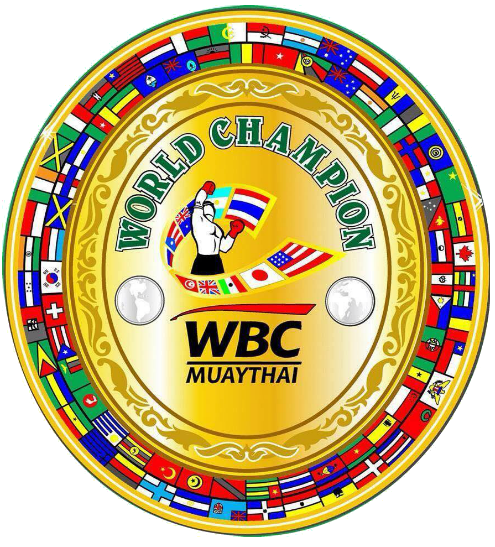 A sacred cord known as Mongkol can be worn around the head only during pre-fight ritual. Metal and other substances that would be harmful to the opponent are prohibited. The world renown Master Cha is 4-Time World Champion in Thailand: From age 9-years until now he trained and fought in over 100 events. The Head Coach/Trainer and Owner of ThaiTopTeam USA in Columbus, GA: The Head Muay Thai Coach to some of the greatest gyms around the world: He coached and mentored for over 30 years to many high-level UFC fighters and Muay Thai fighters around the world: He is the WBC (World Boxing Council) Southeast, United States Representative. Works with age over for mental awareness & mind-body balance and focus with nutrition. 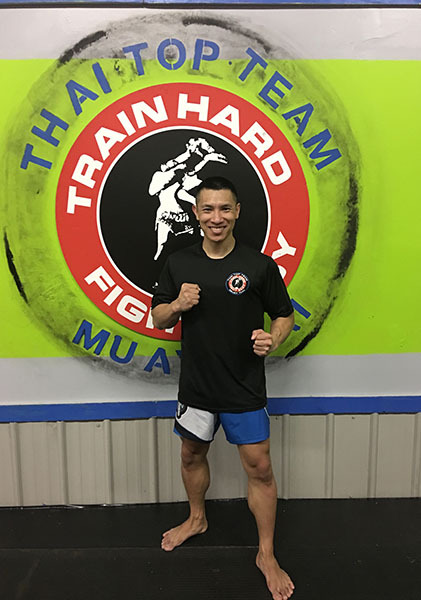 Mr. Acojedo has also apprentice under Master Cha giving him top level Coach/Trainer instructions as one of the best Muay Thai instructors and fitness and conditioning coach in the Muay Thai training field. 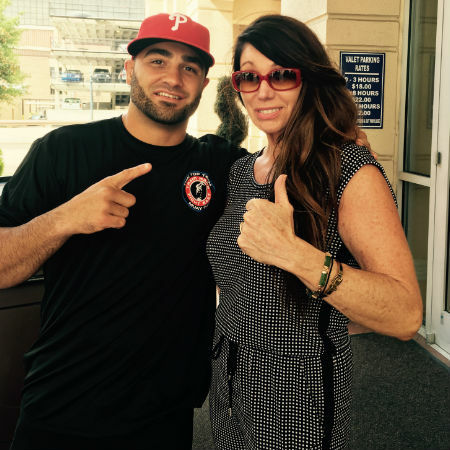 With His vast military training on all levels continue to be a driving force with his strong competitive drive has put himself in many Muay Thai events giving him much ring experience. 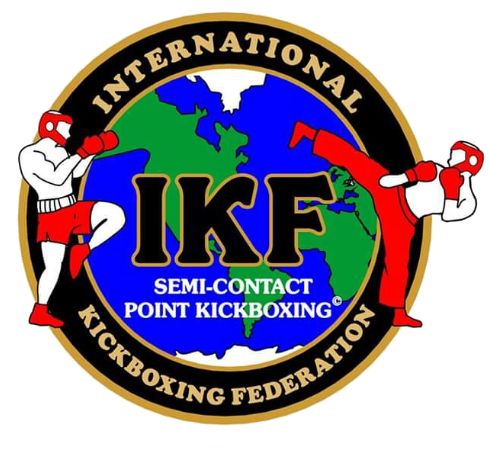 He serves has official IKF judge and referee attending many Muay Thai Matches officiating with ThaiTopTeam USA thru out the South. 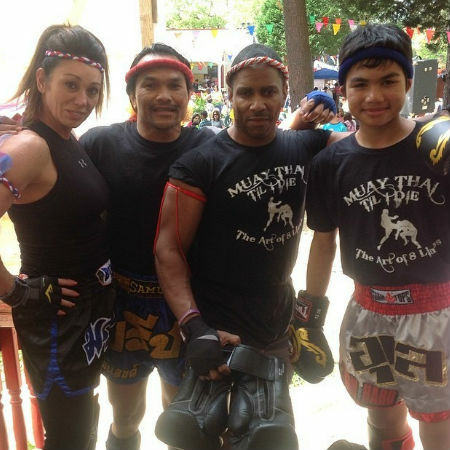 Coach Anton the Head Trainer at ThaiTopTeam USA in conditioning to top level instruction to Muay Thai fighter competition of all levels of training.